In Weber’s clean, clear style, this book explores the Fool, the Major Arcana, the Court Cards, Cups, Wands, Swords, and Pentacles, as well as what she calls the tough cards, reversals, practice spreads, and next steps. She includes common associations as well as extensive exercises to unlock readers’ own interpretations for connecting personal journeys with the archetypical Tarot. Readers will learn to let the voice of the Tarot come through without overlaying too much of their own “stuff” during a reading. Tarot for One includes dozens of original Tarot spreads and layouts, which have been repeatedly proven both fun and effective in Weber’s classes and workshops. 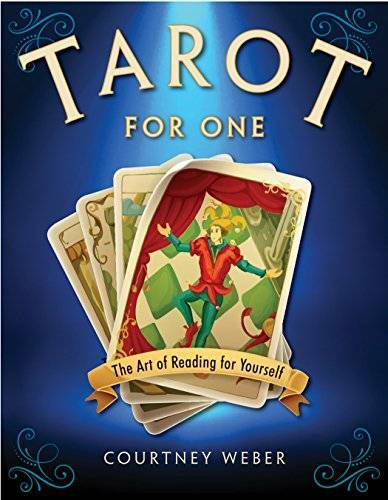 It also contains tips on finding a deck, honing a Tarot practice, and avoiding common self-reading pitfalls. This is the essential guide for your personal journey with the Tarot.